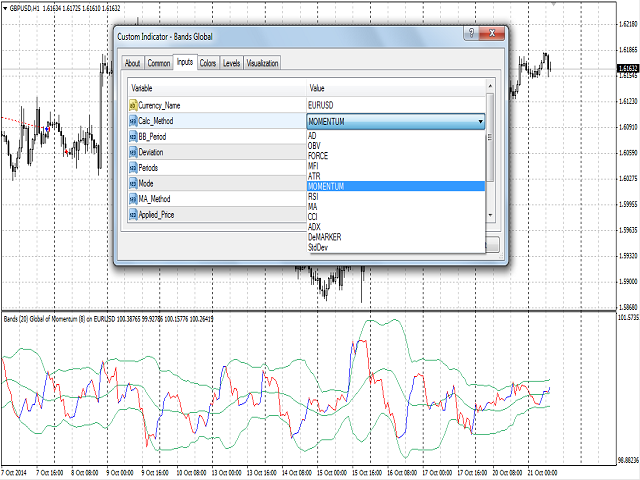 A colored universal multicurrency/multi-symbol indicator Bollinger Bands to be drawn in a separate window below the main financial instrument. The rising and falling line of the main indicator and Bollinger Bands can be colored. The middle line of the Bollinger Bands - buffer 2. 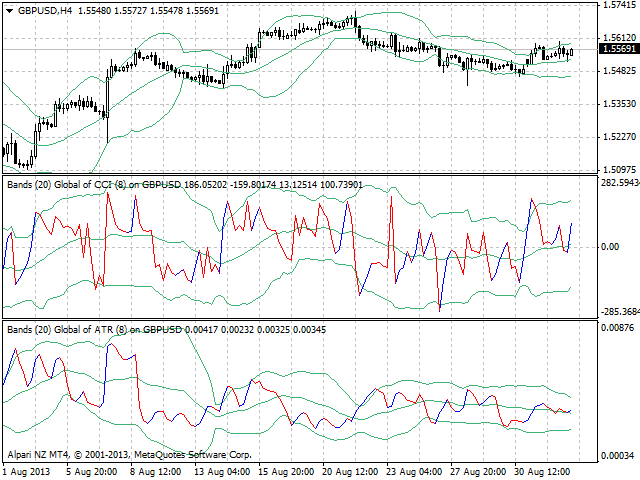 The upper line of the Bollinger Bands - buffer 0. 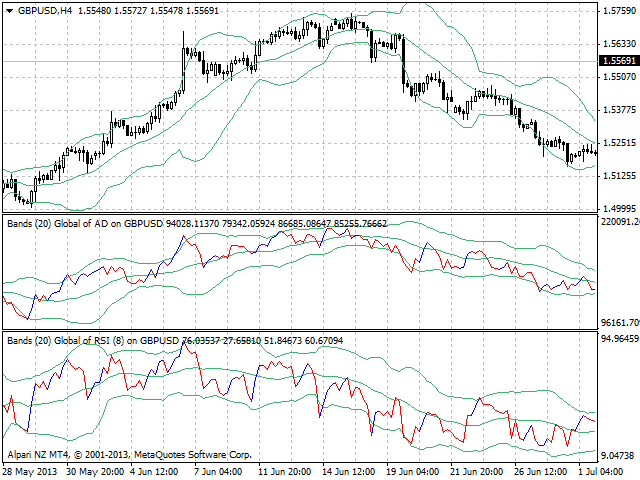 The lower line of the Bollinger Bands - buffer 1. The bullish line of the basic indicator - buffer 3, must not be equal to zero. The bearish line of the basic indicator - buffer 4, must not be equal to zero. The main line of the basic indicator - buffer 5. 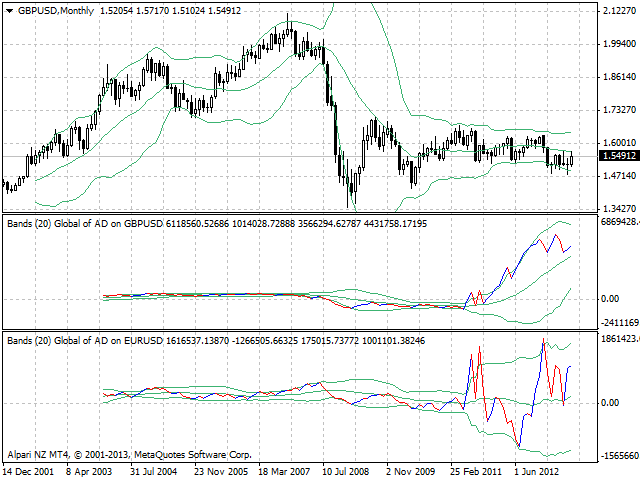 For a more in-depth analysis the indicator can be used in combination with Bollinger Bands of the main chart. Calc_Method - the index of the indicator, based on which the Bollinger Bands will be calculated (from 0 to 11). By default, i.e. more than 11 - based on the AD indicator. BB_Period - calculation period of Bollinger Bands. Deviation - deviation from the main line. 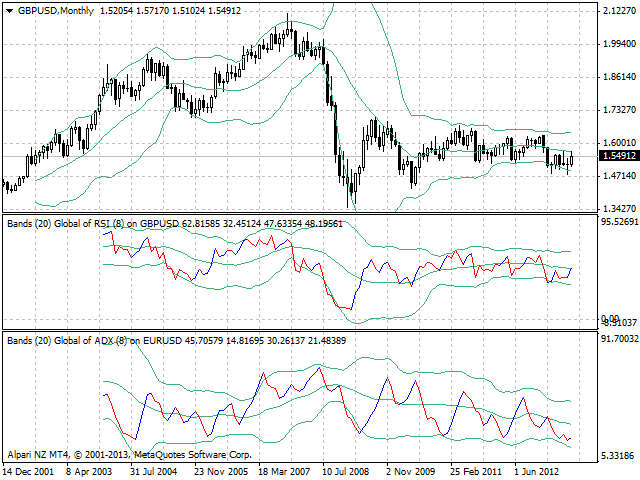 Periods - the period for calculating the basic indicator, based on which Bollinger Bands will be calculated. 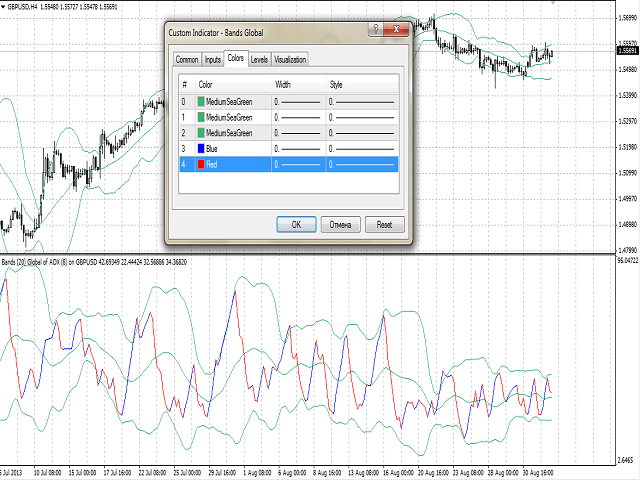 Mode - the index of the line (MAIN - 0 or SIGNAL - 1) of the basic indicator, based on which Bollinger Bands will be calculated. Fixed the indicator naming error.